Bing Dawe was raised in South Canterbury alongside the Waihao and Waitaki Rivers. 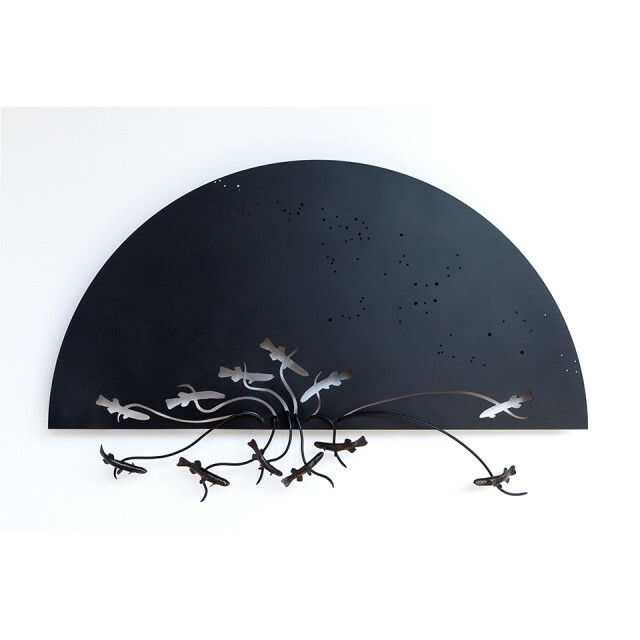 It is his connection with and respect for the delicate balance in the ecology of our environment that has become central to his sculpture practise. Recent works have focused on the vulnerability of our native species, both fish and birds. Often his sculpture conveys ideas around presence and absence, pointing to the possible loss of these smaller species as a result of human impact on their natural habitat. Underlying these works has been an abiding passion for the rivers and waterways of New Zealand. In these and the flora and fauna associated with them Dawe continues to observe, reflect and comment on the impact humans have continued to have on these vital natural eco-systems. Dawe graduated from the University of Canterbury's School of Fine Arts in 1976 and has since had numerous solo exhibitions including a major retrospective at the Robert McDougall Art Gallery in 1999. He is the recipient of many awards including the highly prestigious Wallace Visa Gold Art Award. His work can be found in significant public and private collections both in New Zealand and overseas, including public art commissions in Auckland, Wellington, Christchurch and Rotorua.